There are two main purposes that your digestive system serves: first, it converts food into the nutrients your body needs, and second, it gets rid of the waste that’s left over. A number of different organs work together to achieve these goals, including the mouth, stomach, liver, intestines and gallbladder. While you probably knew about that, there are a number of things that you likely don’t know about your digestive system. 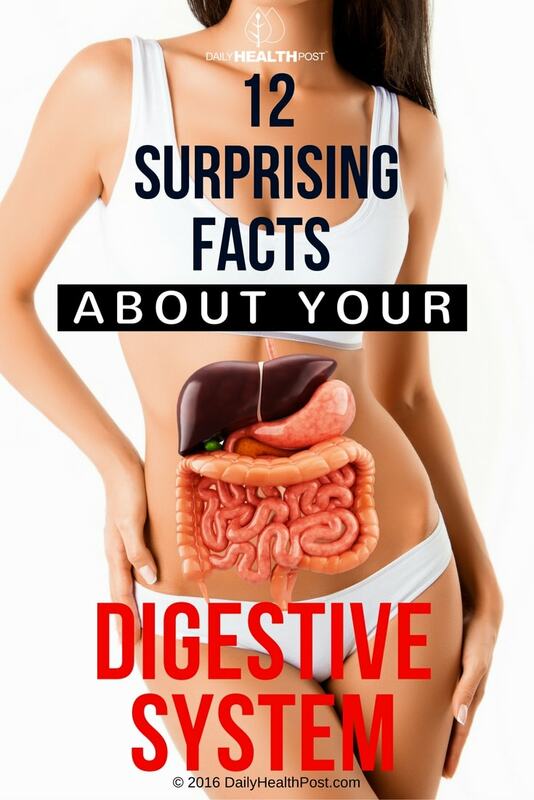 In order to demystify this important part of your body, here are some facts about the digestive system you didn’t know. The muscles in your esophagus are strong enough to usher food to your stomach even if you were hanging upside down! There are three functional zones that make up your esophagus – the upper esophageal sphincter, the esophageal body, and the lower esophageal sphincter. The act of the muscles in your esophagus moving food down to your stomach is called peristalsis(1). Digestive enzymes have many uses beyond just digesting your food. Enzyme technology plays an important role in the diagnosis, treatment, biochemical investigation and monitoring of a number of diseases, but they also have other, every-day uses, such as in laundry detergent(2). Most people believe that the stomach does the lion’s share of the work when it comes to digesting your food, but it’s actually your small intestine, which makes up two thirds of the digestive tract, that does most of the actual digestive work. The small intestine not only dissolves the food, it absorbs nutrients from the food and passes them on to the bloodstream. Roughly 22 feet long, and about an inch in diameter, you’d think that the surface area of the small intestine would be about 6 square feet. However, it’s actually closer to 2,700 square feet large – that’s about the size of a tennis court! The surface area of the small intestine is so large because of folds in the walls of the intestine, as well as fingerlike structures made of absorptive tissue called villi. Even the villi are covered with microvilli, all of which serve to help the small intestine absorb food. Not all digestive systems have the same type of structure – they vary largely depending on species. For example, cows and other “ruminants” – such as deer and giraffes – have stomachs with four chambers, which help them better digest their plant-based food(3). Other animals, like seahorses and platypuses – have no stomachs; their food travels straight from the esophagus to the intestines(4). Intestinal gas is caused by a combination of gasses produced by the fermentation of bacteria in the stomach and intestines, and swallowed air. When the digestive system can’t break down or absorb a food, the food gets pushed into the large intestine, where bacteria get to work breaking it down. This causes the release of various gasses, including hydrogen, methane, carbon dioxide and hydrogen sulfide(5). Colorectal cancer is the second leading cause of cancer-related death in the United States among cancers that affect both men and women. In 2011, over 135,000 people in the US were diagnosed with colorectal cancer, and over 51,000 people died from it(6). 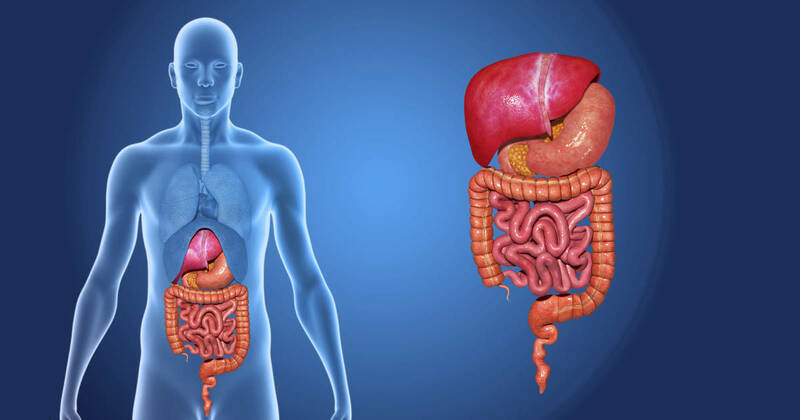 The digestive system is home to many different types of cancer, and results in more cancer mortalities than any other organ system in the human body. An instrument used to examine organs inside the body is called an endoscope. The endoscope was invented in the early 1800s, but it wasn’t until 1868 that a German doctor named Adolph Kussmaul used an endoscope to get a look inside a living person’s stomach(7). Unlike modern endoscopes, Kussmaul’s instrument was stiff, so he employed the skills of a sword swallower in order to get the device down into the stomach. In the summer of 1822, a man named Alexis St. Martin was accidentally shot at close range with a musket. The wound healed into a fistula – a hole that provided a direct view into his stomach. He was treated by a US Army surgeon named William Beaumont, who went on to perform experiments on St. Martin that shed light on our early understanding of the way digestion works(8). Your stomach secretes roughly 2 liters of hydrochloric acid every day. This hydrochloric acid helps to kill bacteria and aid digestion, but it’s also an incredibly powerful chemical, sometimes used industrially to remove scale from steel sheets and coils. In order to protect itself from this corrosive chemical, the stomach lining is covered in a thick layer of mucus, which is replenished every two weeks. Peptic ulcers are sores on the lining of your stomach – or sometimes just above your stomach, in your esophagus. Causes of peptic ulcers include long-term use of anti-inflammatory drugs like aspirin and ibuprofen, infection, and rare forms of tumors(9). However, we didn’t always have such a concrete understanding of what causes peptic ulcers. For a long time – almost 100 years – doctors thought that they were actually caused by stress and spicy food. The treatment for peptic ulcers involved a bland diet and plenty of rest. Nowadays, antibiotics are used to treat these ulcers – a discovery which earned Australian researchers Barry Marshall and Robin Warren the Nobel Peace Prize in Physiology of Medicine in 2005. In fact, some stomach rumbling is actually caused by the digestion of food. However, when your stomach is empty of food, the emptiness amplifies any noise your digestive system makes, making it louder and more noticeable.